Miracles do happen…I’m posting on a weekend. It takes a lot of motivation for me to post on a Sunday morning, but I simply couldn’t wait another day to share this recipe with you! It’s that good. Today’s recipe features chickpea flour, an ingredient you haven’t seen much on this blog. 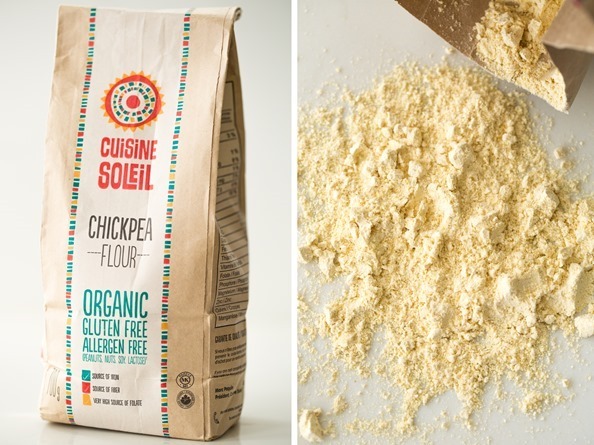 Chickpea flour is high in protein (7 grams per 1/4 cup according to Cuisine Soleil) and it’s naturally gluten-free making it friendly to our gluten sensitive friends. It also boasts 3 grams of fibre per 1/4 cup. I soon found out what a filling breakfast it makes! After having a few bad experiences with chickpea flour recipes in the past, I almost crossed it off my list forever. I find the earthy, beany flavour of chickpea flour can be overwhelming if not balanced by other ingredients and it can take some getting used to, at least it did for me. This weekend, I decided to take another crack at it and I’m so glad I did. Meet my newest breakfast love…she’s a beaut. In case you can’t tell by the photo, this is a huge pancake about the size of a 10-inch skillet! I had to plate it on my extra-large round plate because it wouldn’t fit on my regular round plates. Who doesn’t want to eat a pancake bigger than their head? Noooooobody! After a few trials of this pancake, I finally nailed the consistency of the batter and flavour I was going for. Best of all, it takes only 10 minutes to whisk together the ingredients and then another 10 minutes or so to cook. I also expect it’s quite versatile so feel free to change up the mix-ins and toppings. I think a sautéed mushroom, onion, and chive topping would be especially nice, especially with some cashew cream! One large pancake has around 14-15 grams of protein; add some toppings and you can easily hit 20 grams of protein without much effort. 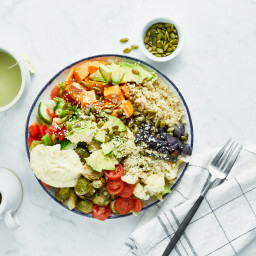 I topped it with avocado, hummus, salsa, red pepper flakes, and a spicy cashew cream – a tasty change up from my normal breakfasts of smoothies and vegan overnight oats. This would also make a fun lunch or dinner too! 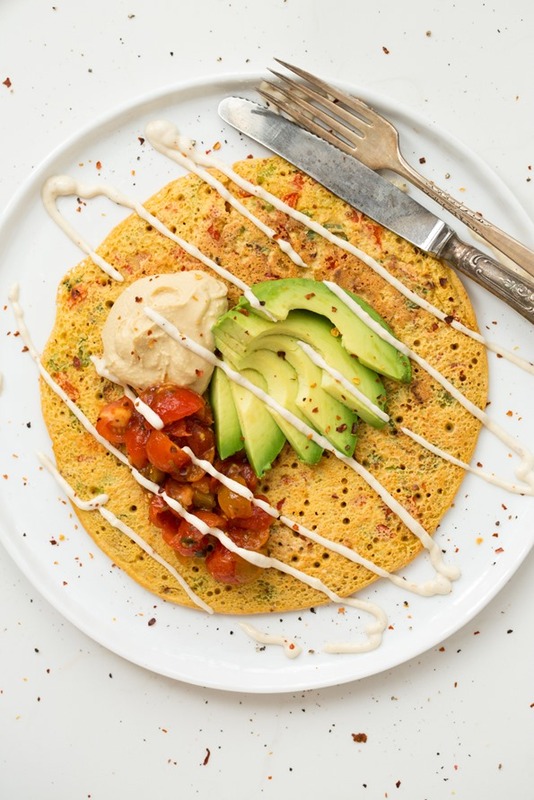 This dense and filling savoury chickpea pancake is packed with protein and fibre. Feel free to change up the mix-ins and toppings based on what you have in your fridge. To prevent it from sticking to the skillet, be sure to spray the skillet liberally with olive oil before pouring on the batter. Also, I suggest chopping the veggies finely so they cook faster. Prepare the vegetables and set aside. Preheat a 10-inch skillet over medium heat. In a small bowl, whisk together the chickpea flour, garlic powder, salt, pepper, baking powder, and optional red pepper flakes. Add the water and whisk well until no clumps remain. I like to whisk it for a good 15 seconds to create lots of air bubbles in the batter. Pour on all of the batter (if making 1 large pancake) and quickly spread it out all over the pan. Cook for about 5-6 minutes on one side (timing will depend on how hot your pan is), until you can easily slide a pancake flipper/spatula under the pancake and it's firm enough not to break when flipping. Flip pancake carefully and cook for another 5 minutes, until lightly golden. Be sure to cook for enough time as this pancake takes much longer to cook compared to regular pancakes. Notes: 1) For the cashew cream, see this recipe. I added red pepper flakes into the blender to make it spicy. 2) You can make this recipe into 2 smaller pancakes if desired. As you can see from the photo, this isn’t your regular fluffy pancake. Chickpea flour makes this pancake very dense and filling. I find the flavour can take some getting used to, but I really enjoy it prepared this way. On that note, I’m off to make another one! I’d love your feedback on this recipe if you make it. On another note, Eric thinks he fixed the printing issue that a few of you were having with the new recipe display. It appears that those of you using Internet Explorer 8 web browser were having issues with printing, but it should be fixed now. If anyone has any further issues, please let us know! Everything looks good on our end. I love chickpea flour pancakes. I’ve never had them for breakfast before but for lunch or dinner spread with a layer of hummus or cashew cheese and then topped with olives, slow-roasted tomatoes and basil is mighty delicious. Made these last night and topped with black beans, avocado, and salsa. They were wonderful. Great recipe! Dear Angela I love socca, so I am trying this recipe for sure! Also I was so happy to open the last issue of the Canadian Living magazine and see you there!!!! The blogger of the month!,,, Congratulations you glow girl!!!! i love a savory breakfast like this and i’m always looking for gluten free options, so this is perfect! Wow I really wasn’t expecting another recipe so soon but thought I’d check anyway and I’m glad I did. The pancake looks delish. I’ll be trying it tomorrow morning for breakfast since I have all the ingredients. Thanks!! Socca is the best! You can literally throw any flavor in it. I do a apple breakfast version with cinnamon and topped with fresh apples. It makes a great pizza base too! Never added backing powder before – I ll try that next time! This looks fantastic! Making a savory pancake never occured to me. 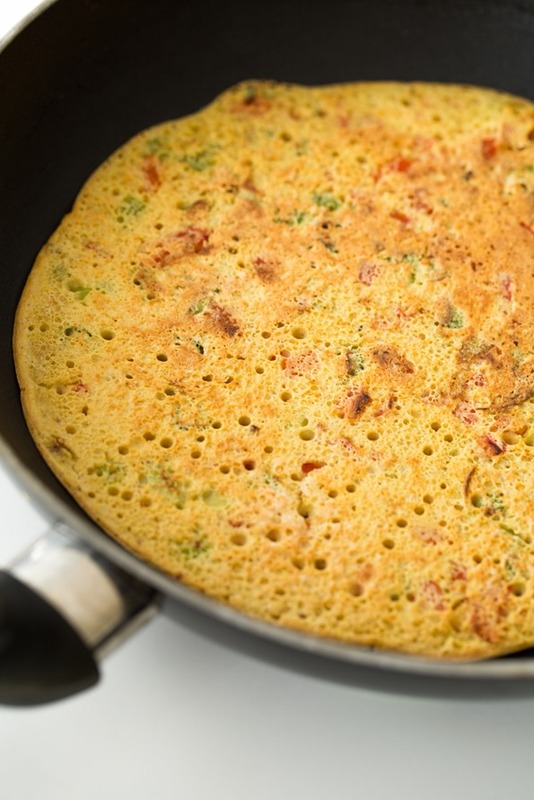 I’ve been searching for an omellete like recipe, but I’ve always hated the texture of eggs. This fits exactly what I’ve been seeking all along. Thanks for sharing this. I’ve been planning on making something like this! There are tons of recipes on the web but none had grabbed me yet. This looks perfect. I’ll make it as soon as I get some peppers. Indians make this with the array of spices and call it “chilro.” It never occurred to me that I could make it western style. :) Looks delicious! For a while I was the same (always had oats or smoothies for breakfasts) but I’ve been having this sort of breakfast more often recently and I love it! It’s amazing what having a savoury, fibre-filled breakfast can do to your day. I have yet to try chickpea flour (mostly because I just couldn’t imagine it in sweet baked goods) so this seems like the perfect option. Pinned! 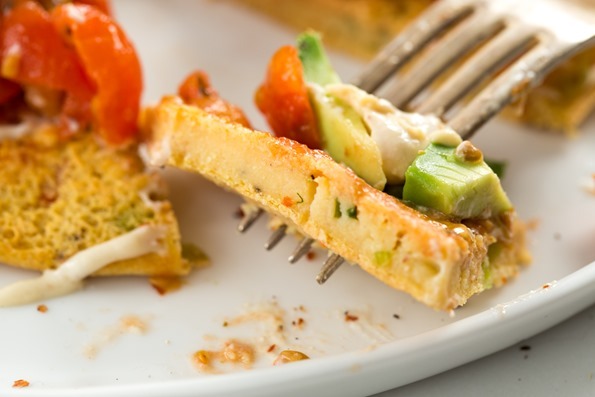 I love savoury breakfasts too…and I’ve also been known to have dinner leftovers for breakfast. So good! That’s an awesome idea!! Why wait until lunch? It’s tough when I’ve got great leftovers and all I really want is to get to lunch or dinner already! Angela, Thank you for a savory option for breakfast. I am also tired of smoothies and overnight oats every morning. A nice surprise seeing a new post on a Sunday am! I am glad I checked, just in case. Happy Sunday! Mmmm…I was wondering how to change up my breakfasts to get more protein – this looks perfect! The only way I ever liked chickpea flour was by using it to dredge onion slices and frying them. Not the healthiest but definitely tasty when used on top of curries or soups. Definitely going to try this recipe out! Cheers! Yum, socca is delicous! 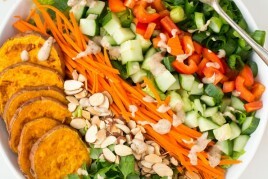 VegNews has a great recipe with sweet potato and apple; perfect fall recipe! Mmmm well I do have this chickpea flour at home and this pancake looks delicious! :) Thanks Angela ! I can definitely see why you’re excited about this! Delicious! I cant wait to make this for breakfast! Oooh. I know I seriously need to cut down on the gluten in my life and this looks like a delicious and comforting way to do just that. Thanks for the recipe! Just made this for lunch with Swiss chard and onion for the veggies! Thank you! I love your recipes! Hey Kaley, awesome! Thanks for letting me know. Oh, this looks fantastic! I have definitely had bad experiences with chickpea flour, but I think this could be the trick to making it scrumptious. I’ve never tried chickpea flour but this looks delicious! Is possible at all to make your own by grinding chickpeas to a flour in a coffee grinder? I’m not sure where I would find chickpea flour here. I love it! Sounds reminiscent of omelets, but without the attempt to mimic eggs with tofu. I’ll have to try this. A few years ago when socca and socca cakes and chickpea flour seemed to be all the rage, I wanted to try it out, but never did. I love the look of your giant cake and it reminds me of those creations I used to see (but a million times prettier!) Gorgeous, Angela! I love socca. I had it for dinner this evening, so filling. I like to make sweet ones as well as savoury. i have used chickpea flour in many recipes: pakora batter: chickpea flour, rice flour, curry spices; dip veggies ( like broccoli florets or cauliflower or potato slices) in the batter and deep fry in ghee (clarified butter) until golden brown. Take out and drain. Chickpea flour treats: combine butter and chickpea flour and stir fry it until it is golden brown. then add powdered sugar to taste. roll into balls and let set overnight or in fridge. I haven’t tried the pancakes, but if you add a tablespoon or two of rice flour, it will make it a little crispier, and not soggy. Oh my I love socca! Italians make this too as street food and call it farina de ceci, delicious! My husband and I made this one a week for awhile topped with homemade bruschetta topping and some homemade guacamole, its too good! Does it taste like chickpeas? I love chickpeas so if it does that would be perfect. 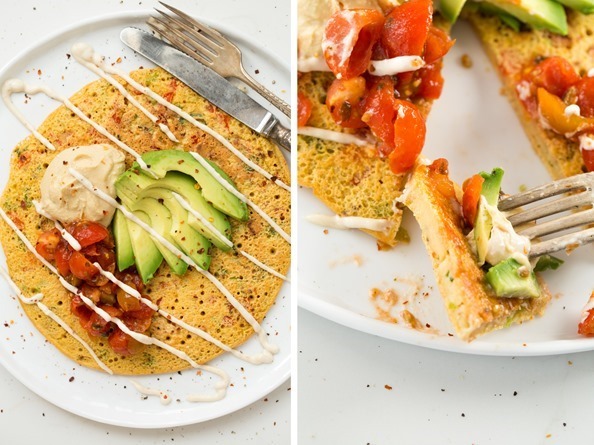 Your photos are gorgeous and definitely make me want to eat this jumbo chickpea pancake with that delightful cashew cream and avocado, yummmm!! Thanks Angela for the helpful response. Yum. 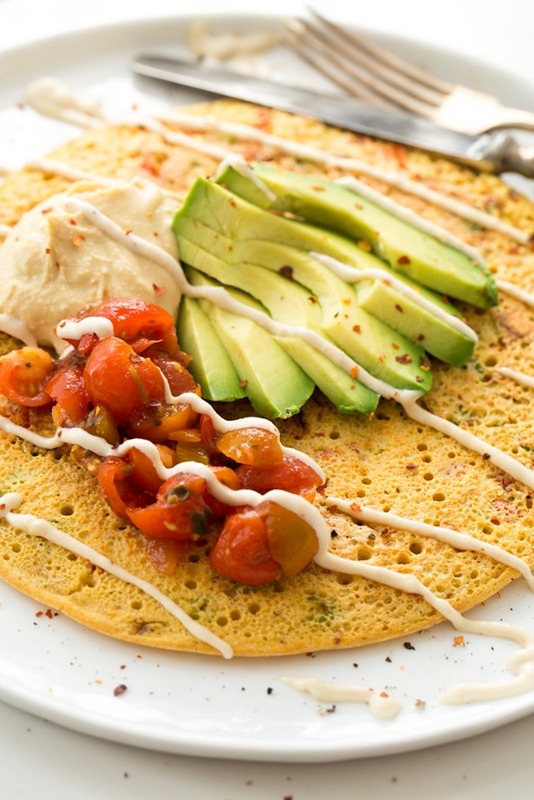 I also love chickpea flour pancakes, but really like the idea of a breakfast one with hummus, cashew cream and avo! Oh my gosh, she is indeed a beaut!!! I haven’t really cooked with chickpea flour very much, but now you’ve convinced me to try it. If I’m not having a smoothie for breakfast, my other go-to’s tend to be savoury – this totally fits the bill! I really want to start experimenting with more flours. This looks amazing! Where did you buy your chickpea flour. I have only seen a mix of chickpea and mung or lima bean at Whole Foods. Hey Erin, so glad you enjoyed the casserole! Mmmmm, socca. I used to cook with that stuff quite a bit, but haven’t seen it in any of my usual markets since I moved a year ago….you’re inspiring me to locate some! I grew up in India eating these kind of pancake. You can buy “Besan” much cheaper from indian grocery shop. I made mine with chopped fresh spinach. you can also add pinch of cumin seed powder. You intrigue me girl! I never knew they made such a flour but then again, it seems they make flour from just about anything these days. Grass flour! Basil flour! Stiletto flour! It may be too early in the morning for me to comment without sounding like a loon. Love to try your take on this! Looks delish as per the usual, Ange ;). My Mum used to make us chickpea pancakes for dinner when we were little, paper thin and stuffed with chilli, cucumber, spring onion and hummus. This jumbo version looks fabulous! Yum! Awesome pictures and what a great idea – love avocado on everything, I’ll have to try this one!! Any idea what the carb content is? Would it be “rollable” to use instead of pitas? For things like fajitas? It might be, although you’d probably have to cook it for less time and play around with the recipe a bit. When I tried to fold mine it half, it cracked. I love chickpea flour and make an awesome savory pancake with peas and onions. I have found that any batter with chickpea flour tastes really off but once it’s cooked it takes on an entire different flavor profile. I will have to try your pancake recipe! Well this looks incredibly delicious!!! Can’t wait to try it out! This looks amazing! I agree that pancakes are better the bigger they are. :) I’m not really a sweet breakfast person, so I’d probably love this. This looks like it would be awesome filled with anything you’d put in an omelette. Of course, I’m imagining some non-vegan fillings (smoked salmon/cream cheese/capers), but a rich mushroom risotto-type filling would be good, especially with a drizzle of truffle oil. Thanks again, Angela, for all your great ideas! I’m all about a green smoothie in the morning – usually all I need – but sometimes you just want something, well, pancake-like, you know? This is so simple and satisfying, AND gluten-free, dairy free, but not flavor-free! Love it!! Angela – did you try making them ahead and warming the next day or do they dry out? Think they would roll for a breakfast wrap? This is very similar to tomato cheela (vegan omelet) .We usually serve it with a spicy onion chutney. Thanks for the recipe. I haven’t had good luck in the past with chickpea flour either. You have just convinced me to give it another try. This sounds fantastic! I am living for this recipe. Beautiful post, beautiful photos. I usually only read recipes online and email them to my husband, but I will be MAKING this one! Would this be similar to a Socca? It is making me drool. This was so easy to make-and I made it at 6:30AM… so that says something. Even better than the simple recipe: it was absolutely delicious and filling. Also, it was so easy to flip! I’m used to not being able to flip things, so the final product gave me a sense of pride ;). I’m so glad I have a new breakfast option on my list! Thanks again, Angela! Wow that looks delicious for breakfast or lunch! Since it so big maybe even dinner… Thanks for the great recipe! Wow, that looks incredible! I’ve been craving more savory flavors for breakfast these days and will give this a try fo’sho’! How do you keep coming up with such fantastic and tasty ideas?? Madhur Jaffrey recommends letting the chickpea batter stand for 30 minutes to develop the flavour and depth. 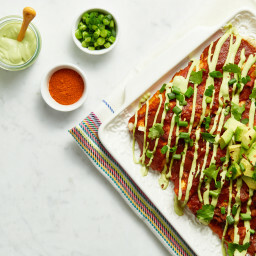 Love the idea of a savory pancake! I bought Chickpea flour last week for the first time and I had no idea what to do with it! this looks very good. I want to print it but don’t see a print option. Did you not have that at one time or if not can you make it an option? So much easier to print then cutting and pasting. I love your recipes and your blogs! Keep up the amazing work! I make these besan/chickpea pancakes all the time! They are a staple in many Indian households. They are so easy to make and you can change them up with all types of veggies and toppings. Looks very good! I was needing an egg replacement for breakfast when I went vegan using something other than tofu. I love chickpea pancakes!! One thing I add to get the “egg” flavor in these beauties is to add black salt, or Kala Namak. It’s amazing!! I’d start out adding 1/8 tsp. Thank you for this great recipe, Angela! Angela, I was wondering, could you use dry chickpeas in a vitamix to create a flour to use? Oh this looks perfect to use up that garbanzo bean flour I bought! Thanks for sharing, this looks amazing! I made this recipe last night for supper and it was a success. I had never tried chickpea flour and actually made my own in the vitamin by using dried chickpeas. My pancake did not flip very well so the final product looked more like scrambled eggs, but regardless, it was really good. I will be making this again for sure ! Wow…just made these. They are amazing! I’m so grateful for your recipes. Thanks for your hard work. I have just made this lovely pancake for late breakfast. It was really good and very satisfying! Served with avocado, a little salsa and cashew cream as suggested. Thank you for introducing me into the world of chickpea pancakes! I’ve made chickpea omlettes before, but these are WAY better. I had to improvise and use mushrooms, roasted jalapeños, and spinach in the batter. Yum! I could eat these all day. I have two bags of chickpea flour and I had NO idea what to do with it. Now I do! Thanks so much for sharing. Tried doing it with canned chickpeas and pureeing them in the food processor to make a batter…..doesn’t work. I guess because they are already cooked. them I used the flour and it was great! thanks! I’ve made these twice now– they’re delicious! I love how simple they are! This was absolutely delicious. My first try at this was not exactly picture perfect but the taste was still good which is most important. I plan to keep perfecting this. I think next time i will make smaller pancakes instead of one big one. I was feeling ambitious though. Thank you for sharing so many amazing recipes. It has made cooking fun for me. Wow was this YUM! And it was nice to change up breakfast from my usual oatmeal or green smoothie. These would be perfect for Sunday brunch. I am following your blog since I became a vegan in January this year. Any of your recipes that I tried worked out very well and tasted great. I’m an addict now :-) Whenever I have some vegetables or any other ingredients and don’t know what to cook, I check your page for some ideas. Many thanks for sharing all your ideas and recipes with us – as you can see, they even made it to far-away Germany. And: Thank you so much for this brilliant recipe! I made it exactly as suggested and my husband loves it (and so do I). I am very much looking forward to buying your cookbook – hope it will be available in Germany or online as well. Take care and all the best for your future work! Just tried this recipe this morning! They were absolutely delicious!! Unfortunately, I only had salsa to put on top but next time I am definitely slicing up avocado to place on top! Yum, Yum :) Looking forward to your next post! Um, YUM!!!! Eating this as I’m typing. Followed the recipe exactly, my only regret is I halved the recipe because now I want more!!!!! This is my first time trying chickpea flour and I’m sure glad I did!!! I just tried your chickpea pancake, which looks amazing. The outside burned and the inside never fully cooked. I had it on a medium heat. At first I thought I had made it too thick, but the picture of your pancake is much thicker. HELP!!!! I made a double batch of this in preparation for my work breakfasts this week and used capsicum and celery with some chopped corriander and chives as flavour boosters. I just enjoyed one pancake with a side of asparagus and topped with chopped tomatoes and I can say that it is definitely the best breakfast I have had in a long time. Thank you so much for the inspiration! This recipe was awesome! I used red onions instead of green, but it turned out great. My omnivore boyfriend loved them too. Spicy cashew cream on the side was yummy. I never thought chickpea pancakes would be so good. Do you think that it is possible to make your own chickpea flour with dried chickpeas and a food processor? I think someone linked to a post detailing how you make it at home – I would give the comment a check! Good luck. Thank you so much Angela for giving us a wonderful recipe and putting the post on a sunday morning, wow. This looks FANTASTIC, can’t wait to try it! I love getting protein in from a natural source (chickpeas) as opposed to relying on protein powders or more processed sources. Did you have any luck thinning these out or making them more crepe or tortilla-like at all? They look great but I do know what you mean with the chickpea flour being so thick and dense — maybe adding more/different type of liquid would make them fluffier/lighter?? I’ve seen other recipes make thin crepes, but I didn’t have any luck (it cracked when I flipped it), but maybe I just didn’t cook it long enough? Good luck if you try it! For the crepes, the secret is the sitting batter in my comment. It really needs to rest and absorb the liquid :o) I always have a batch in my freezer for crepe emergencies! Thank you so much for this post Angela. I am a huge fan of Chickpea flour since I learned a few tricks I wanted to share. You can also blend the chickpea flour in your high speed blender for super mixing and flour moisture saturation. It works even better if you blend and then let the batter rest for at least 30 minutes, or as long as overnight in you fridge. This mellows the flavour. I also add more water and make crepes out of this batter, yummy! Delicious. Grated courgettes (Zucchini) added to the batter are a fabulous veggie addition, too. Just made this for brunch and we loved it, thanks for the recipe. This recipe is great! It seems very tweakable as well! I halved the recipe and still got a large pancake that I ate with some lentil sloppy joes for dinner. I just threw whatever seasoning I wanted, I added rosemary and some sauteed veggie mix (zucchini, onion, garlic, and celery), and I topped with some tofu vegan sour cream, and it was DIVINE! Thanks for a great basic recipe! This looks fab, could you make a batch and freeze them to defrost for a lunchtime meal? Made the chickpea pancakes this morning for breakfast. They were easy, relatively fast (considering it was a hot, savoury breakfast), and my huband and daughter loved them. We had them with a bit of fresh salsa and avocado, and I made up a bit of lime-yogurt to drizzle for my family (they are not vegan). Totally delicious! Thanks for the recipe. I had an issue making this in my stainless steel pan, but it was awesome anyway! Seriously…awesome! Oh myyyyyy, this looks absolutely heavenly! Hummus with breakfast? Genius! Gotta try this asap! Thanks so much for the stunning, detailed photos, too! I have made this dish twice now, and while, in the end, it ends up tasting good and I enjoy it, I have also had a hard time getting the pancake to cook all the way through. I have tried lowering the temperature and cooking longer… to the point where each pancake was on the stove top for approximately half an hour trying to cook through, flipping and squishing to get the liquid center out.. I even tried, the second time I made them, reducing the water content in the hopes of getting a more solid pancake. The only thing I’ve found that has worked is if I start the pancake on the stove and then transfer it to the oven to cook through. I have checked the recipe several times to make sure I’m not missing anything, and it doesn’t look like I am. Otherwise, great taste! I grew up eating these for breakfast/mid day snack. Still my favorite comfort food. I love mine with some indian pickles and butter on top. Never tried them with avocados but now I can’t wait to try!! I love your site, and have made (and really enjoyed) a bunch of your recipes in the past, but I had a hard time with this one. It was absolutely delicious, but I had a very hard time flipping it–it seemed nearly glued to the pan. I made two, doubling the batter, and I eyeballed the quantities of vegetables (using red onion and red pepper), so perhaps that caused the problem. I used plenty of oil but both attempts stuck to the pan. Do you have any advice for next time? I made this today! For lack of cashews and avocado, I made a spicy gravy. Oil, flour, and almond milk with a bunch of spices.. they were so good together! Being from the south biscuits and gravy is something I miss big time, but this hit the spot! just to clarify are chickpea flour and gram flour the same thing? These were FanTAStic!!!!! Thank you…………. I made this for dinner last night and daaamn I was not expecting it to taste so good! I topped it with roasted red pepper hummus, kalamata olives and tahini dressing. Next time I think I will add some falafel flavours like cumin, cilantro for a nice twist. Is this something that can be made ahead or frozen? Haven’t seen chick pea flour. Can I make if with my Vitamix and dried chick peas? Hey Jennifer, I’m not sure to be honest, I think the chickpeas might hurt the vitamix blade? I’d worry they would be much too hard (even for the VM beast!) – maybe try googling it or contacting the company? You can also find this flour in many Indian grocery stores under the name of besan or gram flour. I’ve done it. I’ve made chick pea flour. I have the dry blender for the vitamix and it did an amazing job. I was surprised how much flour I got out of 1 lb. of chick peas. Made this recipe today for my family. They all ate it up even teenage daughter (who added a few slices of turkey bacon to it before devouring it.) I’m excited to play with the recipe and make a sweet pancake with my new flour. Thank you so much!!! Many blessings. This looks like a great recipe, thanks! The only recipe I knew for chickpea flour was a typical Eastern Italian focaccia, so it’s exciting to find other ways to use it. I’ve had a bag of chickpea flour (2kg! What was I thinking??) for a looong time, and made these tonight! They were great will sauteed veg, fresh garden tomato and hemp heart/sesame garlic sauce. Very filling. My husband agrees that they are the perfect protein packed starch alternative for Mexican food. THANK YOU! Oh and I have a 7 month old and still think they were super fast to make! 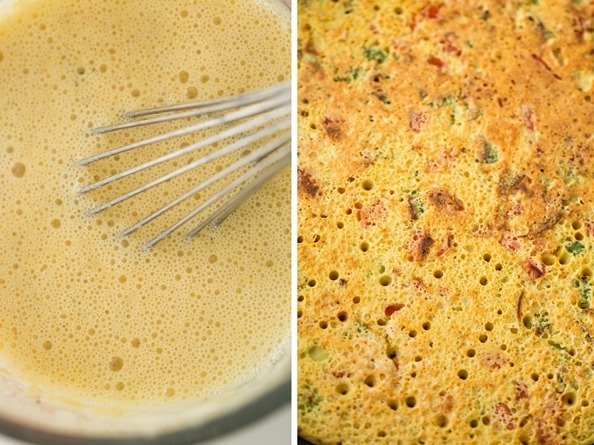 One question about the chickpea pancake…Would it work without the garlic powder? How about skipping the veggies inside and make some plain pancakes to eat with berries and maple? Has anyone tried this? I am looking for no-wheat options as my hubby and I love pancakes for weekend breakfasts! Both sweet and savory. Yes I think all of those things would probably work just fine – although keep in mind the chickpea flavour is quite savory and would need to be enhanced with a bit of sweetener for a pancake option. Good luck! My not-quite-one-year-old daughter loved this! (And my husband and I did too.) But I especially loved how easy it was! Thank you! YUM! Made these tonight for the first time and loved them. It was my first time using chickpea flour. Your measurements were spot on for the perfect consistency. So quick and easy – I’ll be having this often. Just tried this and loved it! I added a shredded carrot, and chopped broccoli and it was fantastic! I might make a bunch of little tiny ones next time for a side or appetizer. Thanks!! I made it with just the basics – chickpea flour, spices, water – and found it amazing on its own even without the veg mixed in. Mind you I had the chunky tomato sauce from here along with some mashed avocado on the side. I LOVE THIS BLOG. Cookbook might need to go on the wishlist. This looks so good! I have an allergy to egg, gluten, dairy, and soy. I have been looking for a savory breakfast recipe and this looks like my answer! Thanks! This is such a winner! Been meaning to make this since the day I saw it, but only just managed to make it. Just made it plain as I was making it for my boyfriend and he’s funny about things like bits, so I played it safe – I have to say when I tasted the raw batter I was very worried, but it turned out so good and even Ben loved it, he won’t stop talking about it and has already asked if he can make it for us tomorrow night! Thanks Angela! Do you think I could make a larger batch of this and cook in in the oven for Christmas morning breakfast? Hey Natalie, Gosh Im not sure – I haven’t tried baking it in the oven! I would try doing a small test batch maybe? I am curious, why the use of garlic powder and not fresh garlic? Thank you for creating this yummy meal!! Just made them with my whole family and we all LOVED them!! We will make them again very soon! 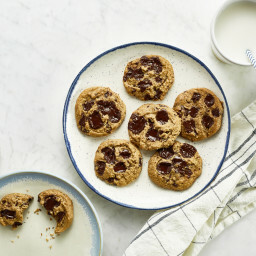 So hard finding yummy things to make for my teenage kids who are both vegan so I really appreciate you posting all these recipes for us to try! Loved the Tex Mex Spaghetti Squash, too!! 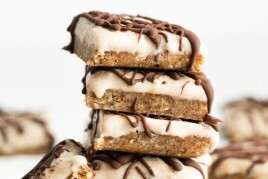 Making the protein bars next! Thanks again!! Hi Melanie, What kind of pan did you use? I didnt have any probs with sticking in my eco-friendly non-stick skillet. I assume some types of pans might stick more though! I used fresh garlic instead of garlic powder and added turmeric. I also added chopped spinach and a wee bit of ground flax. Then I put a thin layer of raw cashew butter, salsa and avocado on top. I made this! I topped it with your cashew cream recipe, and some tomatoes and avocado. It was peeerfect! This recipe is DELICIOUS! Thank you, Angela! Lately, for dinner, I’ve been serving mine w/ some sautéed Field Roast Italian “sausage”, fresh spinach and mushrooms. A-MAZING. Mmm…We just made this with our dinner. I was eating the pancake without any accompaniments it was so tasty! Thanks Angela! Just made this for breakfast. Served w/coriander chutney. Delicious! Okay, these are amazing! I made them for dinner tonight and I added onion, garlic, red pepper, and monterey jack daiya cheese in one of them. So so delicious and such a decadent dinner. Thanks for sharing! So I wake up with weekend breakfast fatigue. Only just started doing a no carbs thing and am already bored and massively craving a big flat slab of cake, and it being Saturday I want something really awesomely exciting decadent and delicious… Oh internet give me hope & sustenance! Give me strength! Give me pancakes! And there you are, glowing cooking eating girlfriend! Thank you! What a gorgeous looking, weird and and interesting food blog! Just what I need! haha thanks Emma :) So happy you found it! Hi! newbiee vegan here; I just wanted to know can you use any flour to make these pancakes? The flour that Im using to cook right now is the 100% wheat flour by 365. Hi Rebecca, The chickpea flour produces quite a unique result in this pancake so I wouldn’t recommend swapping it, but if you do, let me know how it goes. Delicious! Tastes like a Spanish omelette, very nice! Just made these and they are my new favorite breakfast! Thanks you so much! Made the recipe this afternoon, omitting the green onion, and it was absolutely fantastic. I whirled little red and yellow peppers in the good processor and it turned the whole thing orange! I didn’t have the recommended toppings so I mixed tahini, lemon juice, paprika, sriracha, kalamata olives, and a little water in the food processor to make a quick sauce to spread on top. Thank you so much for the recipe! Thank you for sharing your recipes, my husband has hardly noticed that hes a vegan! Yum!! I made this for the first time today and I LOVE it!! I threw in chopped spinach just because I wanted to use it up and for extra fiber and it was great. Thanks for the wonderful recipe!!! I’ve been veg for almost 10 years and this tasted exactly how i remember an omelet to taste! What magic is this??? Amazing! Please help me understand what I am doing wrong in this recipe. While I did manage a passable pancake, it immediately formed a skin when I put it in the pan (too hot?) instead of that bubbly grain pancake texture, after which I turned the heat very low. It feel apart completely when I flipped it although I was able to save it by spreading out the fallen apart batter, cooking it some more and flipping it again. However, despite cooking for a very long time there was still a bit of raw batter in the middle. Since I am going towards a meatless Monday approach, I was surfing around for good low carb (higher protein/fat) breakfast idea, which are tree-nut and gluten-free as well. This one looks promising! Just ordered your book. Can’t wait! I tried making these using my All-Clad skillet, medium/low heat, w/coconut oil, 6 min on one side. However, they stuck to the pan and we could not save it! Do you have a recommendation on heat setting for the pan? Chickpea flour seems to be rather difficult to work with due to it’s density. I have since made it several more times and absolutely love it! It’s so versatile and filling – – no matter what I put in it (so long as I remember the salt ;) ) – – it turns out. Thanks so much! Do you have nutritional info? Thx! This jumbo chickpea pancake was quick to throw together and a cinch to make. I did have trouble getting an evenly cooked pancake that flipped properly but I blame that on my cheap, warped skillet : P Topped with cherry tomatoes, avocado and little more green onion, this made a satisfying dinner. I made this pancake this morning and it was awesome :o)))) I made a total of three of your recipes today. And they were all great!!!!! I just made this recipe with mushrooms and spinach and it was delicious!! Although mine turned out like more of a scramble rather than a pancake.. Any suggestions? I used olive oil but maybe I didn’t use enough or I was too much of an eager beaver to let it cook. Nevermind I figured it out! Added more oil and cooked it longer. For the past 2 days this has been my awesome lunch. Thanks Angela!! Made, loved, shared, recommended! Truly delicious and so filling. I thought it was going to break when I flipped it over, but no, it was perfect! I even photographed my breakfast, it looked so good. I didn’t use garlic powder or peppers and it was still so tasty. I served with avocado, cherry tomatoes and raw baby spinach, with some walnut oil drizzled on top. Thanks for this recipe, which will become a staple of mine. I’ve attempted these twice and they never turned out right. The they tasted good but they kept breaking apart I turned the heat down and they still did. When the pan was on medium low heat the bottom burned. Was really disappointed. What size pan were you using? It needs to be a relatively small one so that the pancake is pretty thick. Just tried these for lunch and they are awesome. Fast and easy and so versatile. Great way to get a lot of protein. Thanks for all the great recipes, every one has been a winner. Just wanted to thank you for this recipe! I topped my pancake with leftover vegan chili and your cashew sour cream: AH-MAZ-ING! I recently decided to be vegetarian and I really, REALLY need some recipes and all for this diet. I was vegetarian last year for about 2 months then I stopped so I’m hoping that now I can go for longer! I’m actually only 13 years old:) I want to get into this diet as soon as possible! Thank you so much for this recipe, I’ll be sure to try it very soon! After coming across this recipe last week I couldn’t wait to try it! I made it for my husband and I for lunch and they are incredibly delicious! I wanted to up the veggies and so I pulsed mushrooms, squash, zucchini, and bell pepper in the food processor and eventually into the batter. We topped ours with avo, garlic hummus, and a little cayenne pepper for some kick. They will definitely be worked into our regular recipe line up and I can’t wait to make them again!! I just made this and enjoyed them very much!! topped them with 2 tbsp guacamale and some drops of hot sauce! yummy! The chickpea pancakes are delicious! I tried them with black beans, avacado and salsa for dinner tonight. A quick easy recipe that is a keeper. Many thanks for sharing! I’ve made this a number of times and I absolutely love it! It keeps me full for a long time. I’ve tried it with tons of different vegetables, too. One of my favourite combos is broccoli and mushrooms! This is my new favorite breakfast!!! It’s reminiscent of an egg omelet. I use a shallow 6″ frying pan and it’s perfect…a big pan will not give you the “flipability” you’ll need! I usually sprinkle some Daiya cheese on top and I have even added it into the batter but if you do so I recommend not using too much because it will change the texture of the recipe. The salsa and avocado are the perfect accompaniments. If you like savory breakfasts, this is a MUST-try!! Just finished making this and ohh it was SO GOOD! Topped mine with hummus, jalapeños, hemp hearts and some salsa. The best thing about this is that you can throw just about anything on it, its so versatile! It is very dense but I made my pancake in a bigger pan so it qas thinner! Tried this morning and loved it. I ventured outside my comfort zone and made cashew cream and loves it. I topped with avocado slices, sliced grape tomatoes and cashew cream, it tasted wonderful. I did learn I probably need to either make small pancakes or take some large pancake flipping classes. Thanks for the idea and will definitely be making again soon. Oh my! This pancake was absolutely fantastic! SO satisfying. This was our first experience with Garbanzo Bean Flour (we used Bob’s Red Mill) and it will not be the last. When something we make turns out so well we say, “we would feed this to company”. Well we sure would! I made this for breakfast this morning and loved it! I added a pinch of turmeric, which made it look slightly more like an omelette, and served it with salsa. My first experiences with chickpea flour were also bad….it tastes very different when it is raw. Thus, I think it’s super important to make sure you cook your pancake thoroughly (otherwise it tastes like raw lentils). Cooked through and it tastes like heaven! I’m not sure what it is, but I’ve tried these three times now and I cannot make them without them falling apart on me and sticking to the pan- even when sprayed liberally with olive oil. Suggestions? We still eat them and enjoy them, I just wonder what I am doing wrong! I have made them so many times that I know the water & flour & baking powder ratio by heart. Seasoning depends on my mood and available spices. Prefer them thin and light, thus, most of the time, veggies are only as a topping. Still very much enjoyable! I just made this recipe. It is delicious. Although it did not come out as beautiful as yours, it was still very tasty plus you can never go wrong with avocado! Made these for dinner with sautéed mushrooms and spinach and everyone loved them – even my teen and tween who are notoriously picky eaters! Thanks for the great recipe! These are easily one of the most delicious breakfasts I’ve ever had! I’ve been trying to cut down a little on the fat I eat at breakfast (because most of my breakfasts very heavily feature peanut butter, which is great but maybe not everyday) and incorporate vegetables into every meal! This is a FANTASTIC way to get veggies for breakfast! I googled it and most agree eggs are the only way to incorporate veggies for breakfast. I could do a tofu scramble but I don’t think I want tofu every morning for breakfast. You saved the day! I think I might up the protein content with these and top them with some spicy black beans, mmmm. This is my new favorite breakfast when I want something savory. It is so easy yet so phenomenal. I do find it helpful to make two thinner pancakes so they cook all the way through and aren’t gooey inside. Add the avo and salsa and it’s breakfast perfection. I live in Montreal. I am a high school teacher (11 years now).I have a looong story (involving MS) about how becoming a vegan saved and improved my life. I am destined to open a health food store/restaurant. I’d love to hear your suggestions and see if you’d be interested in joining me in this adventure (financially and/or physically). I know I am behind the drag curve on this, but I cannot believe I have not tried this earlier! I loved it! Who needs eggs?! It tasted fantastic. I did not have spring onions (green onions) so fried off some diced yellow onion before adding the batter to the pan. It worked a treat. I was doubtful about being able to flip it but it worked really well and again, I was doubtful I’d eat the lot in one go but I have just gobbled it all up. Thank you for your wonderful recipes Angela. I found your cookbook first then the blog. There is not one recipe that hasn’t worked out brilliantly. This was the most unexpectedly delicious recipe I’ve tried in a while. Thank you. Made this for brunch and liked it although it did break apart when I tried to flip it. Will definitely make this again. Love that it has 20gms of protein. super delicious pancakes and definitely our salty version favourites. My mom is visiting me and she fell in love with it (let’s admit, who wouldn’t). thank you!!!! Absolutely delicious. I do not like sweet breakfasts, so I was dying to try this. It did not disappoint, despite my inability to flip it in one piece. I topped it with roasted grape tomatoes, avocado, and harissa hummus. One thing I will say is that 1 chopped green onion is nowhere near 1/4 cup – more like 1/16 of a cup. I wasn’t sure if I should add more, but I didn’t, and I think that was the right choice. I will be making this a lot – it’s so easy, too!! This was great! Mine did not come out so pretty, but the flavor was excellent. I’m adding this to my permanent breakfast rotation — and it’s also a great recipe for Lent. Yum! Thanks! This was absolutely delicious and so satisfying! Thank you so much for sharing! I just made this and was DELISH!!!! Thank you so much for the recipe! Absolutely delicious! I made some fresh salsa to have with it . 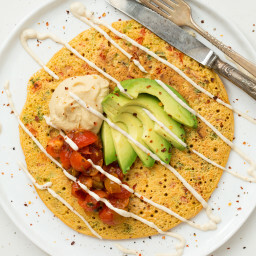 The combination of the pancake with the salsa, cashew cream and avacado was a perfect mix. It also plates beautifully. Will definitely make this again. I Will probably try making smaller pancakes and serving them as a side with a Mexican dinner some time. Thank you for this wonderful recipe! Oh so wonderful. This was my first attempt at making a chickpea pancake and even though it turned out to be a mess, it was oh so wonderful. I’m hooked and you’ve inspired me to try other ideas. Will also surely try your way again as it looks absolutely perfect. I live in Greece and mine turned out comparable to our veggie fritters, just so much healthier, I’m thrilled. Thank you! I think this looks sooo nice and decided to make it. I had a really hard time making the pancake stick together. Instead it crumbled up. It was tasty anyway, but do you have any tip what could have gone wrong? Just to mix things up, tahini (sesame seed paste) might be a better topping for this pancake than humus (humus is chickpeas, so it’s chickpeas on top of chickpeas). Tahini also has lots of protein as well as having the added benefit of lots of calcium. Raw tahini can be used, or a paste can be made by adding olive oil, lemon and some water (garlic, salt, pepper, etc. optional). Made this and it’s amazing. I doubled it and made 4 in an 8 inch pan. Thanks. I made this tonight and it was delicious! I put lots of shredded cabbage from my CSA in and it was quite okonomiyaki-esque. I topped it with a little avocado and some hot sauce but I’m keen to try it with hummus and more veggies. I just made these and put vegan pesto/vegenaise on top with scrambled tofu…it is soooo good! Made this for dinner tonight. I loved it, as did my 14 month old son. So nice and easy, although mine didn’t look as pretty as your pictures haha. I added in some cooked mushrooms and had avocado and salsa as toppings. Yep this turned out great – nice and crunchy and goes well with grilled veggies and tahini sauce mixed with lemon. Thank you!!! OhmyGoodness! I made smaller cakes from this recipe and it is too good! I made a 50/50 version with cornmeal and served it with eggplant/tomato/onion topping…I like the all garbonzo bean cakes the best! I’m going to a gathering this weekend and plan to make them as my donation of goodies to eat! thanks so much! Just tried this recipe for breakfast. Amazing! What a great idea. Used fresh veggies from my garden. Something other than oatmeal for Sunday breakfast is always good. Ive had a bag of chickpea flour in my pantry for ages and I never felt inspired to use it…until this morning! We added courgettes, red peppers, fresh garlic, green onions and lots of child flakes to the batter and it was super yum. We went for the giant size and regretted it when it came time to flip. So it didn’t turn out quite as beautiful as yours but damn it was yummy. We even had a batch of cashew cream from dinner last night! The light crispy outside of the pancake went really well with the cream. Super yummy and reminded me of an omelette. Will definitely make again. And I love all the ideas in the comments for other chickpea flour uses! I am totally making this for my lunchbox !! Would love to see similar creations to this made by you. The taste and structure of this dish put a smile on my face and generally made my day! Thank you so much for this great recipe. I made the batter with spices, but no veggies. It turned out perfectly! I sauteed a tomato and some onion to put on top. It was delicious, and a great way to get protein. I think this will become a go to breakfast/lunch for me. I loooove these chickpea pancakes. I used leeks and sundried tomatoes as my additives with reg. Pepper, no pepper flakes. Which next time I will use the flakes and not reg. Pepper. These will definitely be a staple with me. They pair well with apples, if you have room to eat them. The pancakes are so filling, I couldn’t eat the apples…which was A-OK. Does anyone have recommendations on where to find chickpea flour in the US? I’ve looked at multiple stores and haven’t seemed to have any luck. I recently stumbled across your blog in a transition from gluten-free to Vegan/gluten-free, and I’m so thrilled to find such a great resource! I came home tired tonight and made this pancake. It was so simple to prepare, but so satisfying. I ate it with hummus, avocado, and a handfull of greens. Wonderful. Thanks for a great recipe! Here in India, this is very common . Also known as ‘chilla’ or ‘ulta’ , the latter name being in my mother tongue..This is very commonly prepared in my house. We add cumin powder, pinch of asafoetida, chopped onions, finely cut green chillies, turmeric and red chilli powder. Asafoetida is a pungent spice prevents gastric troubles which can happen when one consumes chickpea/ chickpea flour. Your recipe has interesting ‘add-ons’ to go along with this pancake. I would love to try them. Wow! Tried it and loved it. Another fantastic recipe .. very quick and easy to make. Thanks for sharing! I stumbled upon this recipe today, and it was delicious. Tried with my non stick ceramic coated crepe pan, and it stuck like crazy. Tried it in another pan with olive oil, and all was fine. I am wondering on your measuring method for the flour. Do you use the exact 1/2 cup being 60 grams, do you scoop it into the measuring spoon, or do you scoop the flour and level it off? Sooooo good. Tasted like an omelet to me. I added minced mushrooms to mine, and used shallot instead of green onion. Topped one with avocado and salsa, and the other with Miyokovegan butter. Highly recommend this recipe. This recipe is really wonderful! I also added nutritional yeast, paprika, onion powder, and turmeric and it turned out great! This crepe is great. I have served it to guests as an appetizer twice with mango chutney and the amazing cashew cream. What a hit. I just found this recipe as I’m trying out vegan/vegetarian alternatives to regular breakfasts. And I must say it was really delicious. I love falafels so chickpea flour pancakes was almost a given. The pancake fell apart even though I cooked it for 7-8 minutes before turning it over. But the taste was great anyway. We love these! In fact, now we think we can survive as vegans! :) Seriously, it is nice to have a new breakfast option, especially when it is so delicious! We save bits of our veggies from the previous day to add. Fantastic! Quick and Easy to make love it! OMG!! Just made this for the first time for lunch. AMAZING! Will make this again and again. Seriously AMAZING. I love how dense and filling it is. Can’t wait to play around with different spices and veggies! 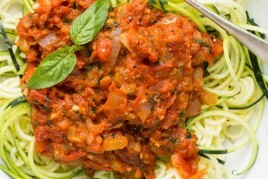 Amazing, soooo good, I am adding this recipe to my favourites!!! Thank you for sharing it! Made these for the parents on sunday brunch. Delicious. Pinapple habanero sauce on top. Just tried these pancakes with young green onions, sliced arugula and kale in the batter. Topped them with vegan oyster sauce and a bit of sriracha chili sauce. So easy and quick, whole family loved them. Honestly the quickest tasty meal I’ve come across in a long time. Also easy on the budget!. A definite keeper. I’m so glad to hear they were a hit! Delicious! I generally make a big breakfast on weekends that I am not working. I was running out of ideas since we became vegetarian (and are working on becoming vegan). This was absolutely delicious! It will be a regular item on my big breakfast menu. I’m hoping there will be a recipe for chick pea flour quiche one day. ;-) Thanks for another great recipe! I’ve made this recipe as-is several times and it works well with so many different toppings! Sometimes I even use these like a tortilla and wrap things up in them. Do you think it would be possible to make waffles out of this recipe? We made this in a small skillet, letting it cook about 3 minutes each side. It was so delicious! More like an omelet than a pancake. Yum! Happy to hear it was a hit, jen! Having just been diagnosed with Celiac and living with a super-low-fat vegan, this is my beloved new, quick go-to recipe. Thank you so much! I made this THREE times this week. The directions are easy to follow and the pancake serves as a base for a wide variety of toppings. One day I will try adding a little sugar to the batter and top with fruit and pastry cream for a dessert. The photography is beautiful. Great website. And your cook book is awesome. I have been making this garbanzo/ chickpea flour for many years after I discovered “socca” for a wheat free/ sugar free/ vegetarian (yogurt) household. I use it as a pizza crust. Yum. And when I went to an Indian restaurant they made this with onions, and cilantro in the batter. Yum. I appreciate the comment above about asofoetida. I will try it with that tonight. After starting to use garbanzo flour instead of wheat flour, I was able to “up the weight” by 20# at the gym. Probably because of the high protein content of garbanzo flour. When I visit my dad, I take garbanzo flour with me to make my breakfast “toast/ pancake” in a cast iron pan. Garbanzo flour is a great addition to our diet. Vegan. gluten Free. No sugar. High protein. Thank you for sharing the recipe and photos. Can the pancakes be made and stored for some days in the fridge? I find hard to cook in the mornings as I don’t have a lot of time. The recipe looks amazing!! Definitely will try it! Thanks! Yes, I’ve done it. you can either re-heat in the microwave or in the oven. Just wanted to tell you how much I love this recipe! When I first told my husband we were going to be eating vegan meals for a week, he looked at me like I’d just slapped him in the face (he’s such a carnivore!). But when I made this for him he absolutely loved it. He’s even requested that I keep chickpea flour on hand so I can make them all the time. Seriously, thanks for sharing! This recipe is not only delicious but it is a breeze to make and it can be completely prepped ahead of time. I even used ziploc bags to prep a few bags of ‘pancake mix’ for the week to save time in the morning. Perfect!!! It is hands down my new favorite thing to cook. I’ve always made farinata/cecina on my largest pre-heated cast iron pan in the oven. After the pan is hot, you can add some olive oil and whatever diced or thinly sliced veggies you like and continue cooking in the oven for a few minutes. Then add the batter and back in the oven it goes. It cooks through in 12-18 minutes, depending on thickness, and you don’t have to flip it. I try to make the batter (just chickpea flour, water, salt, olive oil) the day before and leave it on the counter overnight to slightly ferment; the flavor becomes more complex and delicious. Spices/herbs go in right before it goes in the oven. So amazing!!!! We topped ours for dinner tonight with hummus and water sautéed onions, mushrooms, and peppers. This will be a weekly dinner for sure. Where has this been all my life? Thanks for sharing! I made this today after stumbling across the photo last week. It’s even more incredible than I thought it would be. I’ve only been eating vegan for two months, but this is the best breakfast I’ve had in years. The cookbook is officially on order! So, so happy to it exceeded expectations, Julia! I hope you absolutely love the cookbook. Thanks for the support! This was FANTASTIC!! Made it as a base for an ‘omelette’, put sautéed veggies on top, with a cilantro-line-tomato sauce. YUMMY!!! I was on the hunt for a vegan savory breakfast recipe and this one really appealed to me! This pancake really reminds me of a southern Indian dish called uthappam and another Indian dish called chila (also a breakfast pancake). Did you maybe get inspiration from these foods? Hey Nitya, I had been brainstorming ideas on how to make a high-protein pancake and chickpea flour came to mind so I started testing savoury options. Uthappam and Chila both sound wonderful though! I have always liked savory breakfasts and love things like leftover spaghetti (sometimes even cold). Before becoming WFPB I often enjoyed leftover pizza for breakfast. This recipe sounds great. And I’ll bet you could even find a way to make breakfast pizza the vegan way. It gives me all kinds of ideas. Thanks. Recently went vegan, and miss my morning routine of eggs and savory breakfasts. When I saw this recipe I was thrilled! I just made it and it is amazing! I topped it with beans, roasted tomatoes, cilantro and garlic sauce. Hits the spot! Plus I think all ingredients this was less than $3 a serving!!! Thank you!!! Do you have the Nutritional break down? Calories, carbs, etc? This sounds wonderful but I also have to watch my fat intake. Thank you. I’m sorry, I don’t, JoAnn. But you can use a free online tool like caloriecount.com or nutritiondata.com to get a calculation fairly easily, I think. I hope that helps! This is unreal. I have the world’s pickiest 3. 5 year old and he ate the whole thing. I like Onion and Sundried tomatoes for my filling. I also add some nooch into the batter. I’ll be eating this daily. Thank you! So glad to hear your little guy enjoys it, Lauren! The pancake is really tasty and filling, I love it!! 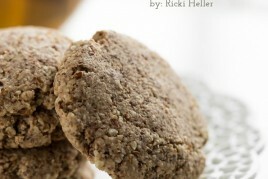 I wonder if it would work with buckwheat flour, what do you think? Hey Lena, Oh that’s a good idea! I haven’t tried it myself yet. I do know that buckwheat on its own can be a bit tricky to work with (it can be quite dense), so I’d be curious to know your results. If you try anything please let us know how it goes! This was delicious! Thanks so much I can’t wait to play with different add-ins. Look so good! I was wondering what to eat for breakfast tomorrow I saw your recipe. Thank you for sharing! Thank you for this incredible recipe! I have made one for the past 5 nights to go with my salad for a deliciously healthy and quick dinner. I enjoy the flexibility to play around with different vegetables. So far, jalapeno, green onion, and shredded carrot is my favorite combination. Hi Shannon, So happy this is such a hit! 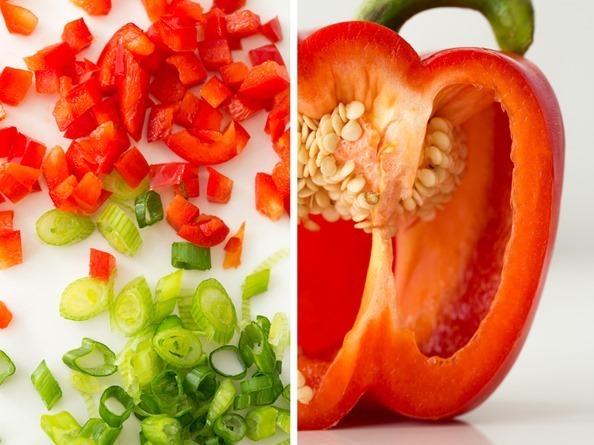 I love your jalapeno, green onion, and shredded carrot….yum! I think I’m going to try this with my pickled jalapeños. Shredded carrots?! That sounds amazing! Holy yum-o-rama! I made this for lunch today I added some cumin to the mix and my veggies were shredded carrot, green onion, sliced radish and corn. I par cooked those then added to the batter. I topped with cilantro, sliced radish, avocado and a hummus salsa. This was the bomb!!! It was really filling and satisfying. Hey Michelle, That sounds divine! Love those add-ins…I’ll have to try it next time. It’s been too long since I’ve made this! Hi!!! this looks delicious ! I was wondering the nutrition info on 1 of these ? or at least approximate calories? Hey Steph, I’m sorry, but I don’t have the nutritional info, but I looked on the chickpea flour package and 1/4 cup has 120 cals and 7 grams of protein. So these pancakes would have 240 cals, 14 g protein for the base, plus whatever veggies or toppings you add on. Hope this helps! LOVED THIS! Can’t wait to try it again with more then just avocado. I love savory foods and I’ve been looking for a nice vegan breakfast that doesn’t include bread or loads of sugar. I added a little more seasoning to the batter…garlic powder and pepper. Will be making again. So good! Mine didn’t flip in one piece but I think my pan wasn’t hot enough and I rushed it. Avocado and Cholula were my only toppings. I’m going to try it with maple syrup and blueberries instead of red pepper flakes and vegetables. Hi we have tried this recipe twice now – but the pancake breaks apart in the fry pan when you try to flip it over and it sticks really badly to the bottom of the pan. 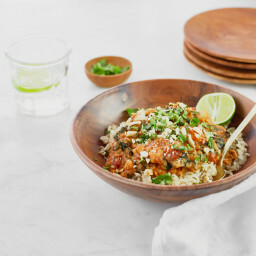 We eat it anyway and it tastes good – but if someone could please help with some advise on how to make this as pictured. I did read where it said “To prevent it from sticking to the skillet, be sure to spray the skillet liberally with olive oil before pouring on the batter.” We don’t have a sprayer, but we did use a lot of olive oil, even more the second time and it still stuck horribly. Any help would be very appreciated as I otherwise really like this recipe. Hey L, Oh I’m so sorry you had sticking issues! That is so frustrating. I think the pan used can really make or break this recipe unfortunately. An eco-friendly non-stick skillet or even a well seasoned cast iron are probably your best bets. Made it, and folded it over some spinach which had been thawed and all the water pressed out. Yum. A few tips. I doubled the recipe to feed two very hungry people and the dry ingredients didn’t seem to scale up to make it thick enough so I ended up adding a bit more chickpea flour. I went by what I would expect regular pancake batter to look like. Also, I used two pans so I could cook two at once — one nonstick and one regular — and the nonstick worked out perfectly. The regular, despite plenty of oil, stuck and became a chickpea scramble instead. So try to use a nonstick. Also, I added a tablespoon or so of nutritional yeast, highly recommended for a cheesier flavor. Hey Doug, I love your addition of nutritional yeast…awesome idea. And I totally agree about using a nonstick. Really makes life a lot easier for this kind of recipe. Thanks for your feedback! This is one of my all-time favorite breakfast recipes. Savory, hearty, and delicious. Everyone who I make this for loves this recipe. It’s so easy and so good! must say this was yummy i added nutritonal yeast and some of my dehydrated veggies yum yum yum ….. thankyou you time on making this is appreciated. The batter looks so deliciously light! Thank you for sharing Angela. A healthy vegan breakfast is something I can definitely look forward to. I regularly make socca and put a batch together. Same old recipe but this time the batter turned weird- it separated and became very elastic with watery liquid at the bottom of the bowl. This is all new for me. Any ideas as to why? Was the flour rancid? I’m going to try to cook a bit for a taste but will probably scrap this batter. Weird. Thanks for any help. This recipe is RIDICULOUS. It has been my daily lunch since the first day I made it. Topped with mashed avocado and hummus, it is out of this world! One thing I love about Angela’s recipes is that it it the only blog where I never have to make tweaks to recipes. Usually blog or book recipes are too dry, to soggy, not enough spice etc. Never change a thing with her recipes, they will turn out perfect every time. Hey Kelsey, Oh that’s a tough one! I’ve found that they are best fresh too. My only thought is that if you have a toaster oven accessible at work or school that could do the trick. Thank you, Angela! This recipe is like having instant crepe mix, quicker to make than true socca. I often crave something quick and savoury, and this hits the spot without any wheat flour. The pancakes taste a bit like they’re filled with potato, (a food I love but can’t eat), depending on how thick I make them. For camping, I mixed up a quadruple batch of the dry ingredients in advance, and just added water. I tweaked the spices a bit to make up for not having the fresh ingredients. I kept the garlic powder and chile flakes, and added onion powder, turmeric and nigella seeds. It would be great with curries, I think. I’m going to keep a large amount of the dry mix already made up for quick meals! Hey Suhashini, wow, I love your idea of prepping the mix in advance for camping! Your tweaks to the spices sound awesome too. Thank you! I love this recipe but I make them in my belgian waffle maker and top it with a pesto sauce and kale chips! Hey Lindsay, oh I love your idea of trying the chickpea pancake in a waffle maker! So glad you enjoy the recipe. I have made this recipe three times and it always gets rave reviews! My favorite take was the most recent making when I added a Tablespoon of toasted sesame seed oil and a half teaspoon of curry spice to the mix. It was delish. I do want to warn that if you don’t keep them on the heat long enough, it will taste a little floury, but it isn’t too bad. I have used all kinds of veggies that were in the fridge and it seems any really work well. I can think of lots of ways to present this type of pancake…if you want meat in it, it seems you could add some chicken or whatever on top of the raw batter when you put it in the pan. It would be a delish filling, inexpensive lunch. Do you think these could be prepared in bulk in advance and heated up daily for a quick on the go breakfast? Hey Carmen, Oh interesting idea! I haven’t tried making these in bulk before so I’m not exactly sure, but if you try anything please let us know how it goes. :) I would imagine they freeze okay so you might be able to stock some in the freezer and thaw overnight in the fridge as needed…then reheat in a skillet? Do you have the nutritional information for this? It looks amazing! I wish mine looked that “neat” – LOL. I made this recipe x4 since I wanted leftovers for some breakfasts during the week. Very simple to make, easy instructions. None of my pancakes came out the same or looked the same (that’s user error though). They weren’t easy to flip, but again – maybe that was just me? I tried several different times based on how the top looked (similar to how a normal pancake cooks). Aside from that, it’s a tasty and filling breakfast option! I’m late to the chickpea pancake party, I know, but I’m making up for lost time…. I’ve made this twice in three days: the first time, according to the recipe save for the use of a crushed garlic clove rather than powderaddition of coriander leaf; and the second, with the addition of a handful of finely chopped baby spinach. Today’s was eaten with a butternut hummus and salad/salsa thing of grilled eggplant, courgette and tomatoes.